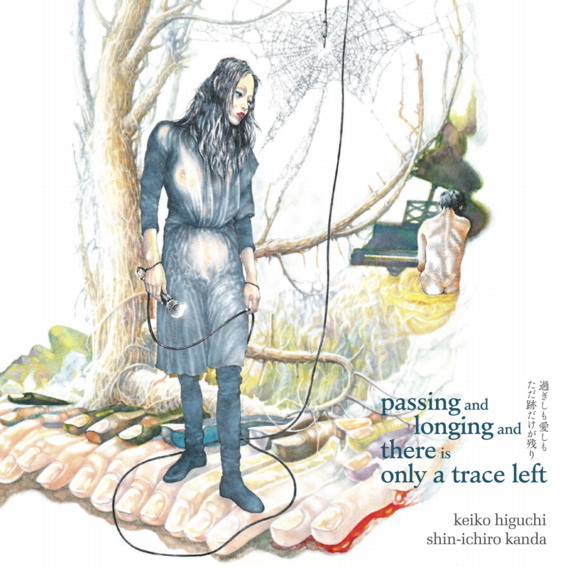 Keiko Higuchi is a voice performer/vocalist working in genres ranging from improvisation to jazz. Pianist/composer Shin-ichiro Kanda is also active in diverse fields including jazz, pop and avant-garde. In 2010 they released the duo CD Shushi no Kakera (Bishop Records). Seven years later they've produced their second duo CD. 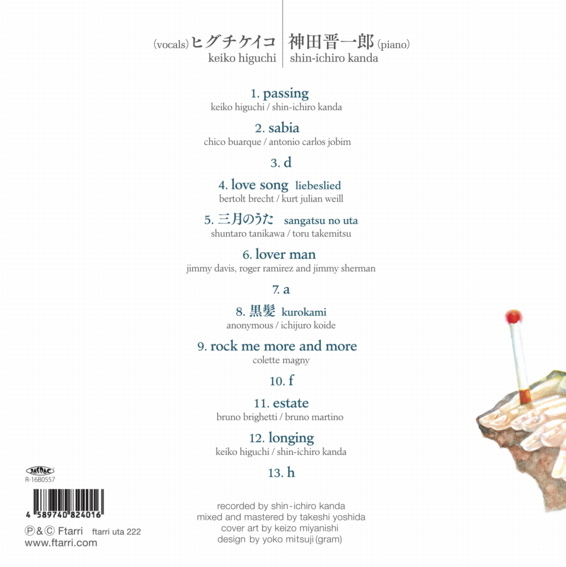 The 13 tracks include "Sabia," by Chico Buarque and Antonio Carlos Jobim; "Love Song," by Bertolt Brecht and Kurt Weill; Colette Magny's "Rock Me More and More"; "Estate," by Bruno Brighetti and Bruno Martino; "Sangatsu no Uta," by Shuntaro Tanikawa and Toru Takemitsu; the jazz standard "Lover Man"; the traditional Japanese song "Kurokami"; two songs co-written by Higuchi and Kanda; and 4 short improvisations. Even with such a wide array of selections, there's a surprising consistency in the musical sensibility enveloping all the performances. Higuchi's passionate, earnest vocalization and singing and its fusion with Kanda's sensitive, gently poignant piano make for a masterpiece.